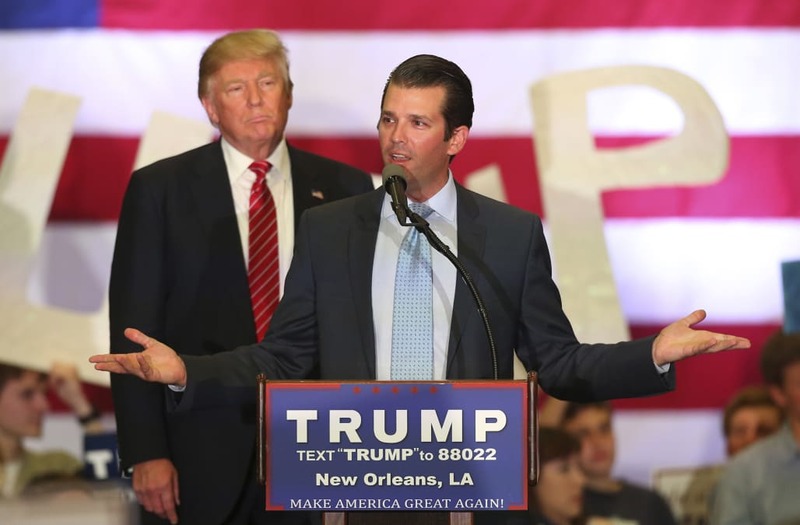 WASHINGTON, July 11 (Reuters) - Senator Dianne Feinstein, the top Democrat on the Senate Judiciary Committee, said on Tuesday she wanted Donald Trump Jr. to testify before the panel, in a public setting, as soon as possible. The committee is one of several investigating the Trump campaign, Russia and the 2016 U.S. election. Liberal media in a frenzy because Donald Trump Jr released all his emails. Should've just deleted them. We know that's fine with them! What seems interesting: Email tells Trump Jr. the effort is part of Russia government's efforts to help Trump. He doesn't ask questions. Former Watergate prosecutor Nick Akerman says Trump Jr. emails are "almost a smoking cannon." Told me "there's no question this is treason." Sen. Hatch says the Don Jr. emails are not "relevant" and "all this stuff about Trump's sons and daughter -- it's a bunch of bunk." There's NO way Don Jr, Jared & Paul Manafort met w/ the Russian Gov't operative without advising Donald Trump in advance. HE'S GUILTY, TOO! Sen @ChrisMurphyCT on Don Jr: "For a long time we saw a lot of smoke but no fire, you're seeing the fire today." Separately, its chairman, Republican Senator Chuck Grassley, said at a hearing on Tuesday he had sent more than two dozen letters seeking information, placed holds on nominations in the Senate to press for that information and had been meeting with staff from Special Counsel Robert Mueller's office.